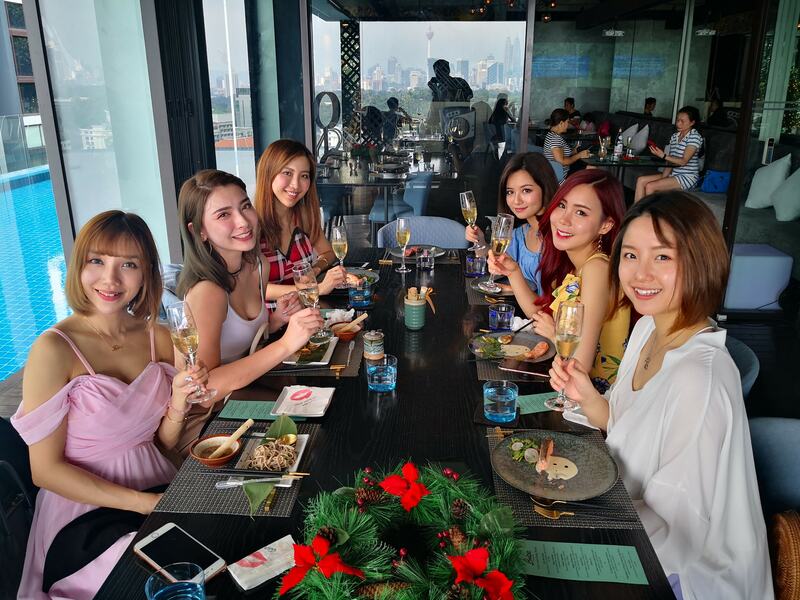 We recently headed over to The Majapahit in Mont Kiara, Kuala Lumpur to try out their menu which serves distinct cuisines of Southeast Asia, with an emphasis on Thai and Indonesian dishes. Located in Arcoris Mont Kiara – the latest high-end mixed development in upscale Mont Kiara, the Majapahit features dining areas on 2 floors, complemented by a full bar which serves signature cocktails, wines, spirits and beers. 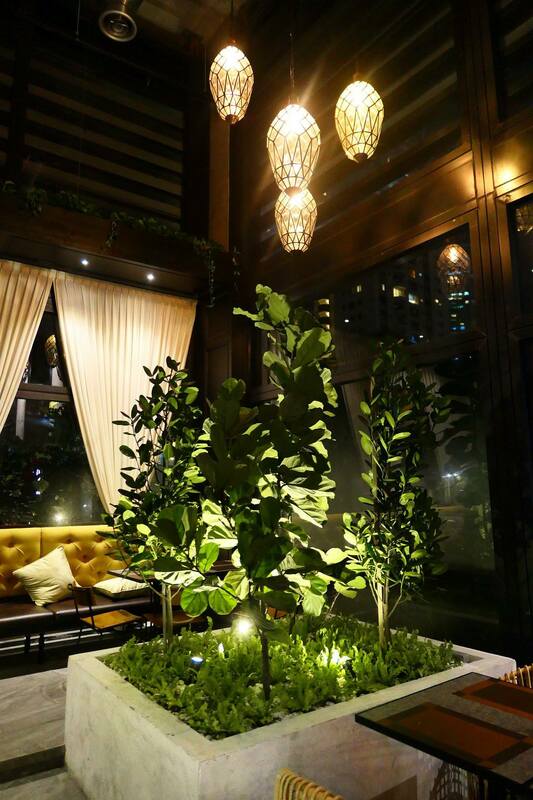 The interior of the establishment features a tropical-themed setting, with a unique and classy design, where rattan chairs and greenery add to the modern vibe of the establishment. Don’t let the premium outlook fool you though as the pricing on the menu is reasonable and affordable. Chef Pak Isan Santibi is responsible for the menu, and is a culinary expert of cuisines of Southeast Asia, with more than 25 years of experience, Pak Isan was formerly the Head Chef of Bumbu Desa, the largest Sundanese restaurant in Indonesia with almost 60 restaurants in 30 cities. Almost a decade ago, Pak Isan was tasked with development of Bumbu Desa in Malaysia where he has been residing since. 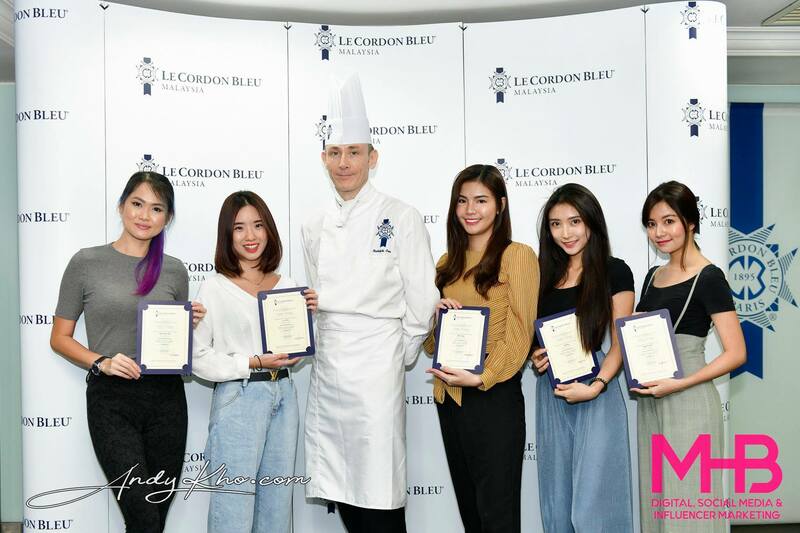 He was most recently the Executive Chef of Ginger Thai Restaurant, an award-winning Thai restaurant with almost 3 decades of history, and a brand that is also affiliated to THE MAJAPAHIT. Pak Isan’s diverse and extensive experience and his passion for Southeast Asian cuisines led him to craft some exquisite and authentic Southeast Asian dishes that showcases diverse cuisines that reflect similarities and diversities of the cultures of Southeast Asia. This is reflected on The Majapahit’s Platter offerings; as each platter features different styles of cooking or interpretation of the same dish, such as curry, fried rice, satay and chicken wings… which are all dishes that can be found in almost every country in Southeast Asia. 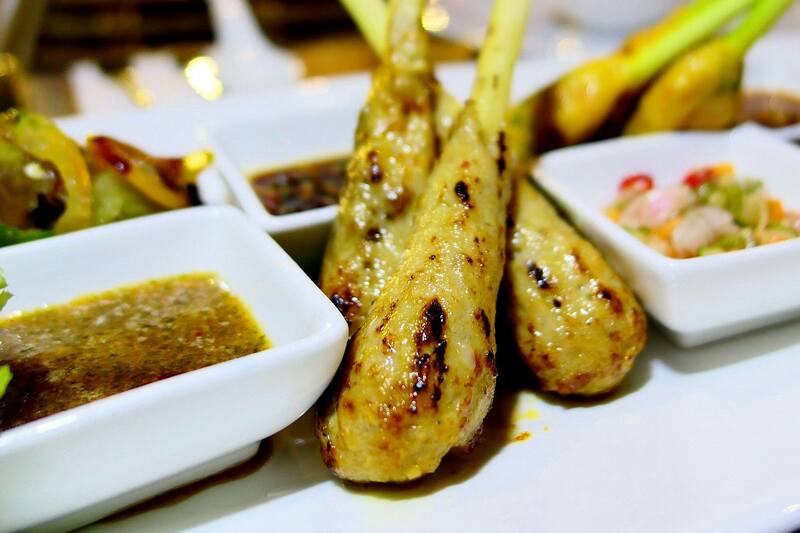 A rather unique offering at The Majapahit is the serving of Southeast Asian ‘street food’ as ‘Tapas-styled small plates’, which the establishment calls: SEA-PAS, which stands for Southeast Asian Tapas. The SEA-PAS dishes can be enjoyed as starters or snacks to accompany drinks. 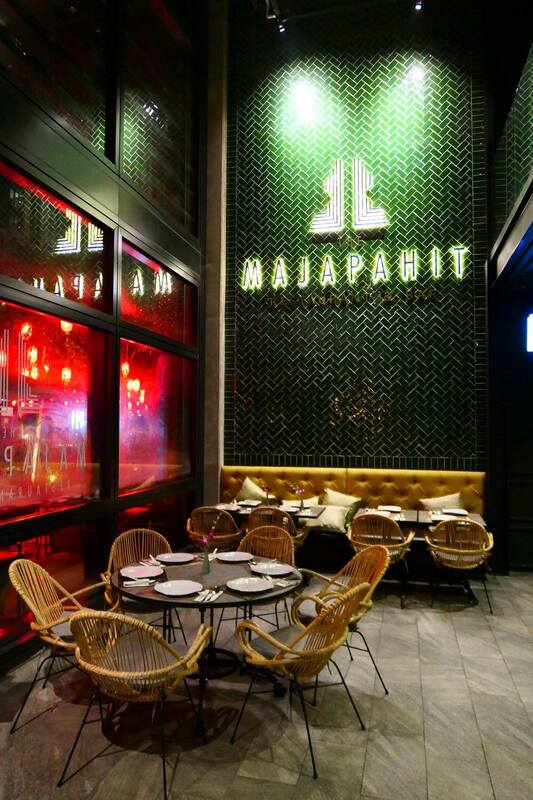 The Majapahit has daily happy hour promos where you can get offers attractive beer promos at happy hour prices, 20% off selected spirit bottles and 10% off ANY bottle from the menu. There’s a good selection of draught beers on tap including Carlsberg, Connor’s and Kronenbourg 1664 Blanc. Now on to the food we tried. 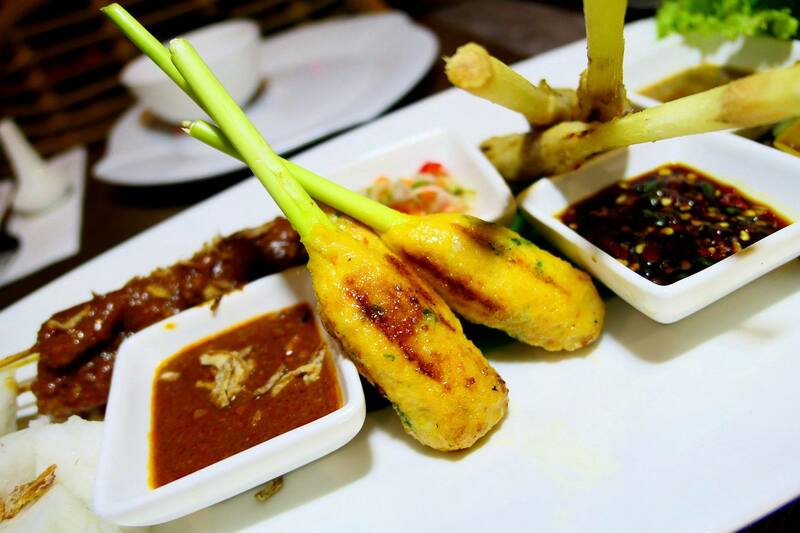 Four (4) of The Majapahit’s signature satays: Balinese Fish Satay, Malaysian Chicken Satay, Indonesian Beef Satay & Vietnamese Sugarcane Prawn. Served with 4 unique dipping sauces. This was a huge platter! So huge that I decided to take individual photos of all the four (4) different satays! My favourite was the Balinese Fish Satay for its lovely spicy flavours, while my partner in crime liked the Vietnamese Sugarcane Prawn and Malaysian Chicken Satay. 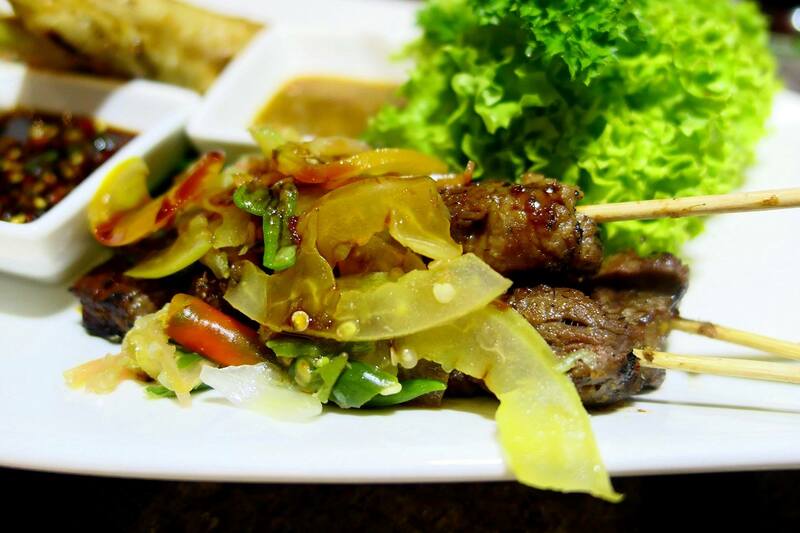 A good tasting platter which can be shared among 3 – 4 pax. side of Chapati Bread & Cassava Crackers (ie. papadoms). Honestly, the satay above and this curry platter would be great to go along with a few pints of beer! It’s very filling as it comes with chapati and crackers. 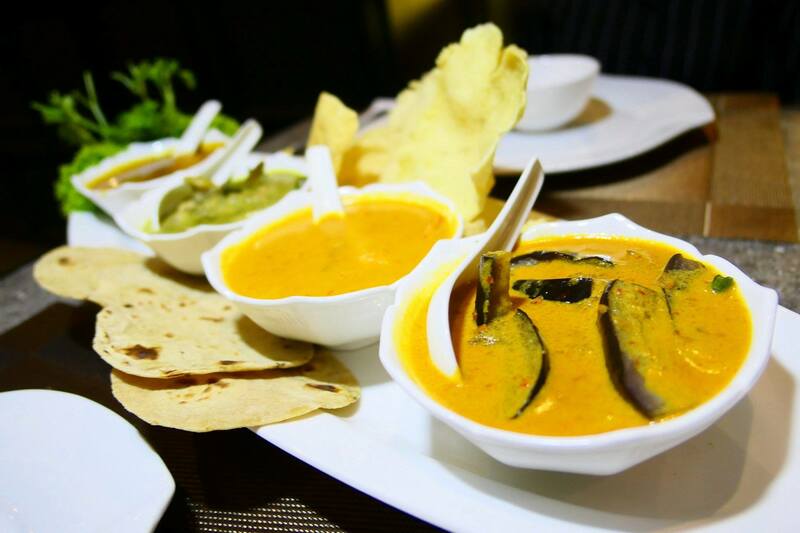 Get an extra helping of the chapati and crackers to go along with the curry, or order a plate of fried rice to share! Heck you can even have this with white rice! A tasting platter of The Majapahit’s fried rice dishes; Thai Pineapple Fried Rice, Thai Fried Rice, Malaysian Kampung Fried Rice and Indonesian Fried Rice. Speaking of fried rice, there’s a fried rice tasting platter at Majapahit that’s enough for 4 pax (that would go along just great with dishes like the curry platter above) and gives you a taste of four (4) different countries. My favourite was the Indonesian fried rice for its abundance of spicy flavours! Rich stew of tender chicken pieces, cooked with blend of ground spices and coconut milk. This was hands down my favourite dish of the evening! I’m a fan of butter chicken however not many restaurants can get the right balance of richness versus spice. 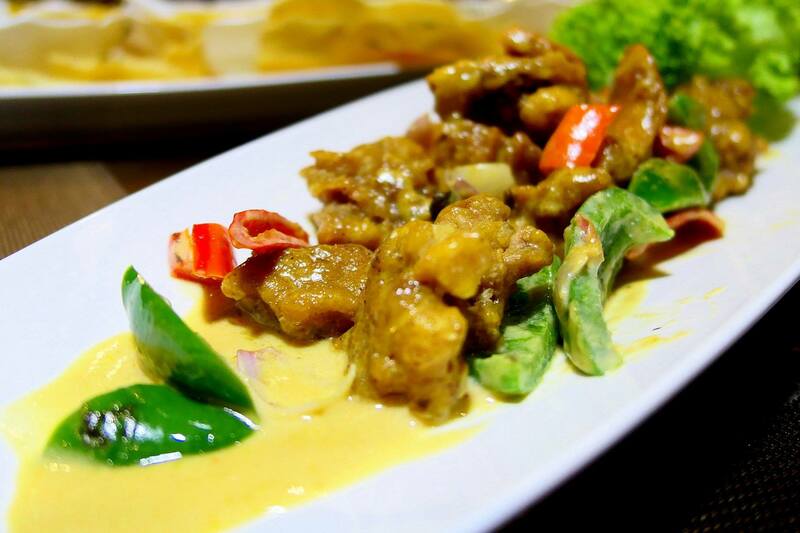 Majapahit did a wonderful job with this one, and I simply couldn’t stop eating the crispy pieces of boneless chicken with its lovely sauce! 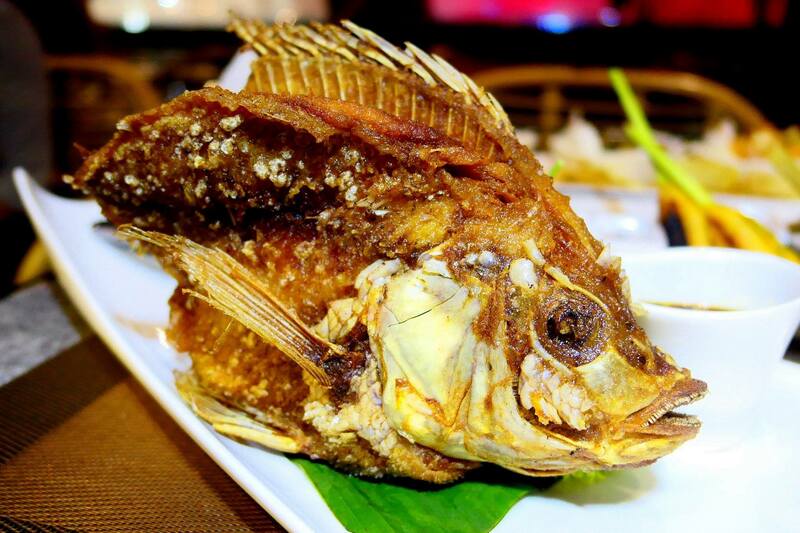 Deep-fried flying fish served with sweet-and-spicy dark sauce. My partner in crime really loved this one! I also enjoyed the crispy fish which was so good by itself that it really didn’t need to go with the accompanying sauce! 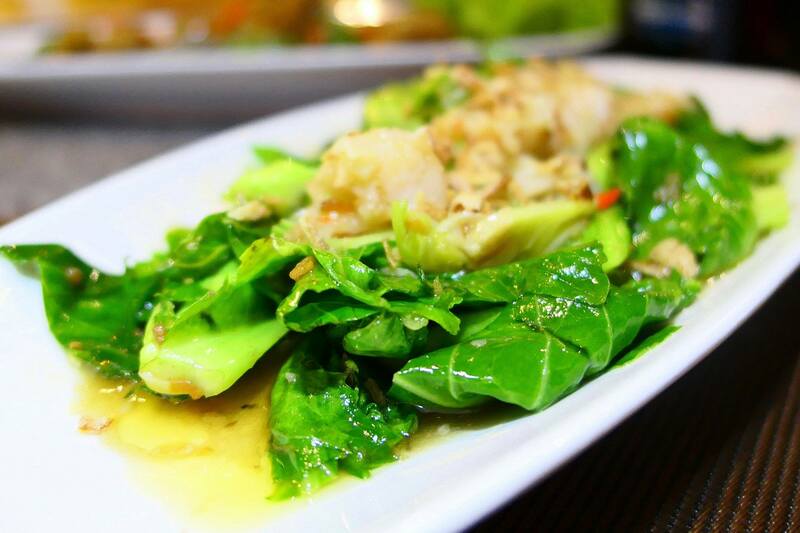 Stir-fried fresh Baby Kailan with garlic and oyster sauce. 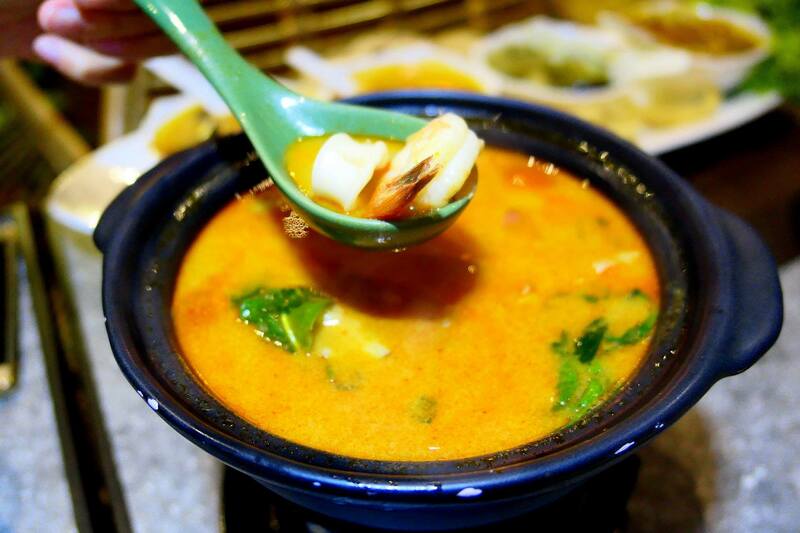 Thai style hot and sour soup with sea bass, squid & prawns. I really like spicy Thai tom yum even though I’d be left with sweat pouring down my forehead. Actually the more sweat there is is testament to just how much I enjoy the tom yum! The tom yum at Majapahit was very flavourful and decently loaded with lots of seafood. Definitely one of the must-order dishes here! 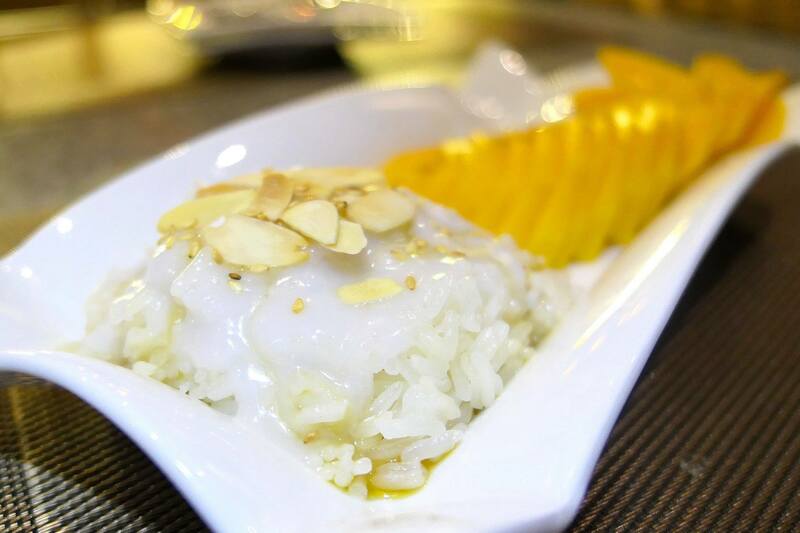 A traditional Thai dessert made with glutinous rice, fresh mango and coconut milk. 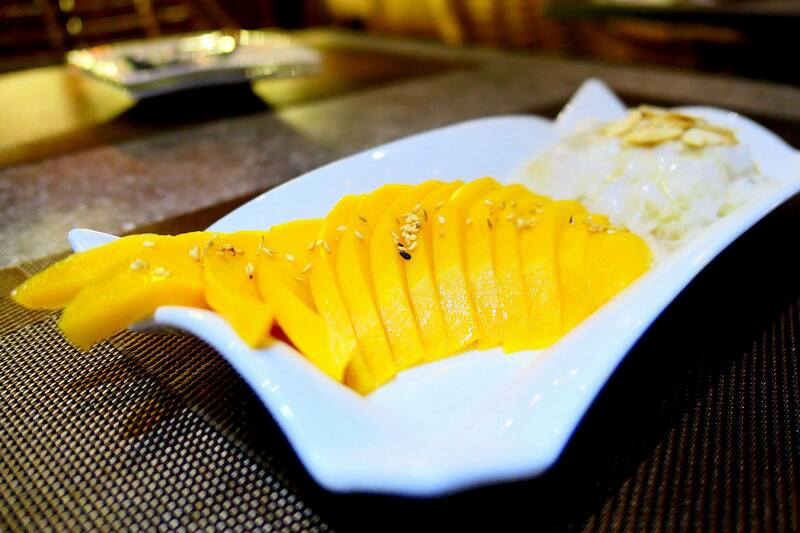 Presentation is key here – transforming a rustic Thai dessert into a very Insta-friendly dessert! Red water chestnut jelly in coconut milk. 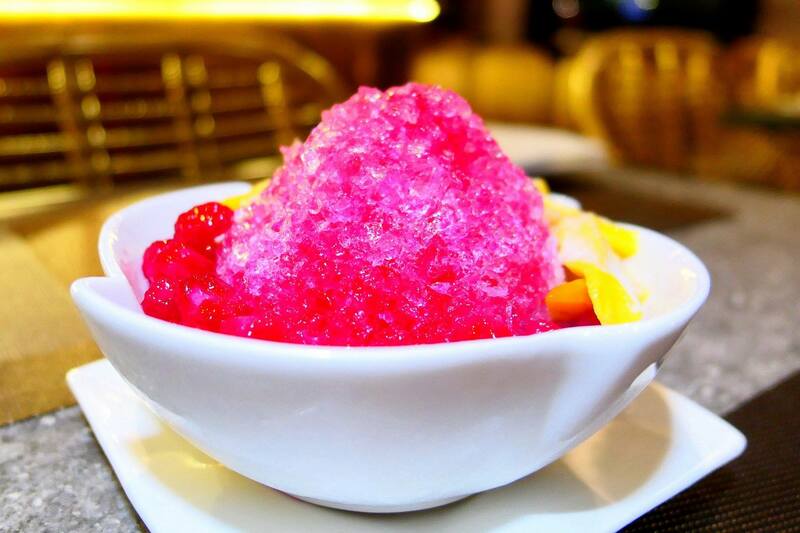 A very refreshing traditional Thai dessert! 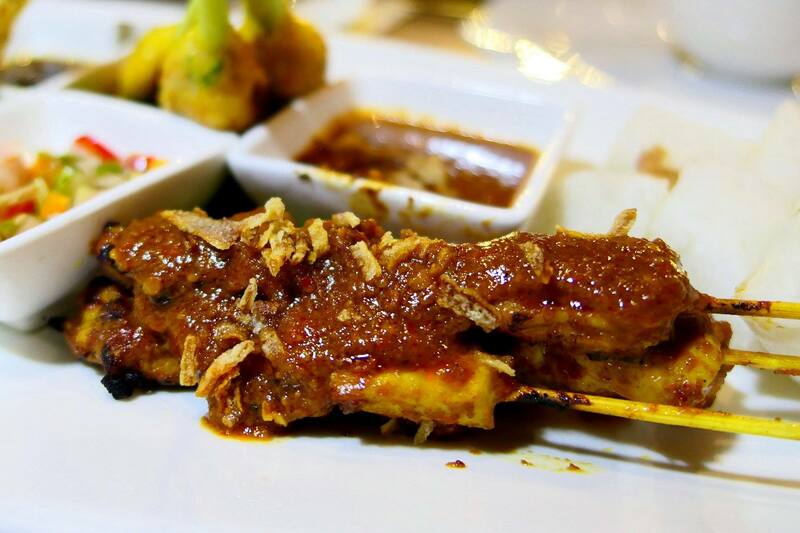 The Majapahit is also open for lunch, offering great value lunch sets, starting from RM 18.90 only. 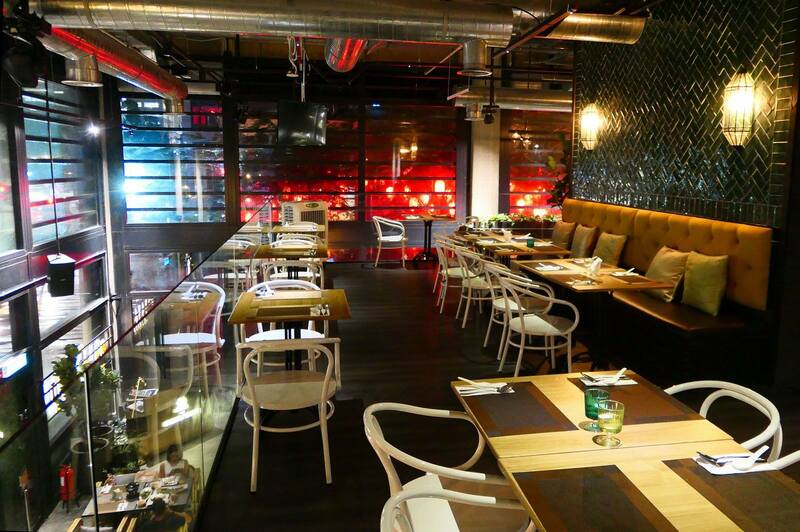 Alternatively, you may also order a la carte dishes during lunch. 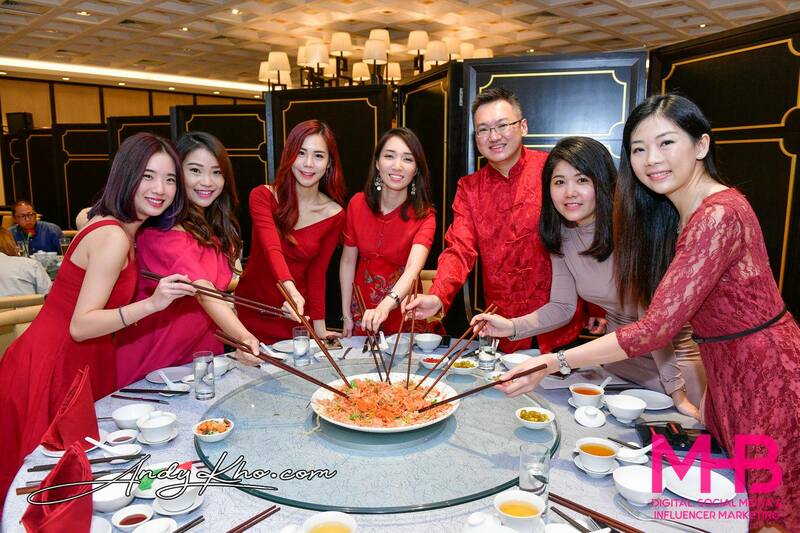 If you’re looking for a venue for private or public events, the restaurant can accommodate a total of 200 pax and has hosted various birthday celebrations, company dinners, corporate presentations and award nights since opening their doors. For reservations or inquiries on events, telephone 03-6411 7097/ 016-226 1878 or visit http://www.facebook.com/TheMajapahit for more information.